While platforms like Instagram and YouTube have played a large role in freestyle’s increasing popularity, has it completely changed the intentions of freestyle? Has it become more about getting followers and likes rather than constantly improving and pushing the sport forward? 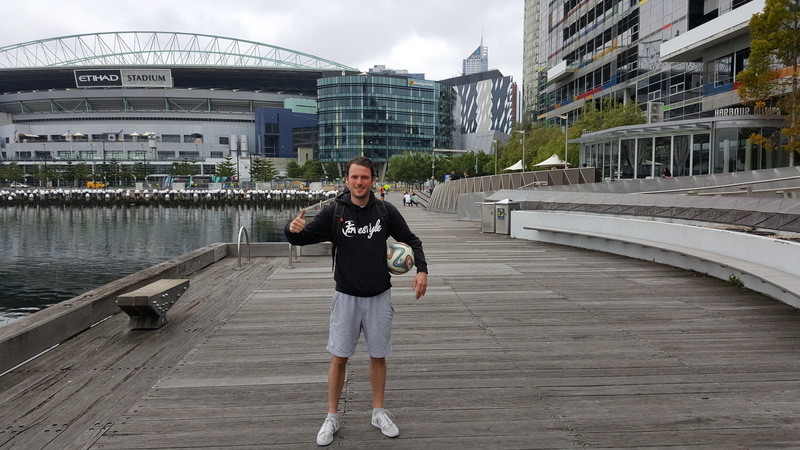 Freestyle veteran Stephen Gray examines the complex relationship between freestyle football and social media. I am fast approaching 10 years of freestyle this year — what started off as a hobby has now become an integral part of my identity as well as the bulk of how I earn a living. I say this in order to reiterate that I really have witnessed the natural evolution of this sport, not only in a technical sense as the tricks get bigger and crazier, but in the social and commercial aspects as well. I often start a lot of my articles with some sort of mention of how freestyle football is growing at a rapid rate. While I still believe that to be true, I instead want to discuss that underlying feeling that where we are now is very different to how freestyle was some years ago, in part because of the now ubiquitous social media platforms. These platforms of course have been an absolute game changer with several notable advantages coming out of them, but do they also have a negative impact in other departments that cut deep into the values of this sport? There’s no denying social media apps have an addictive quality to them — from the sudden influx of likes, followers, and gratification to the constant notifications, never-ending content feed and personalization. Heck, the term “users” could not be more accurate as we could be perceived as “slaves” to it at times. 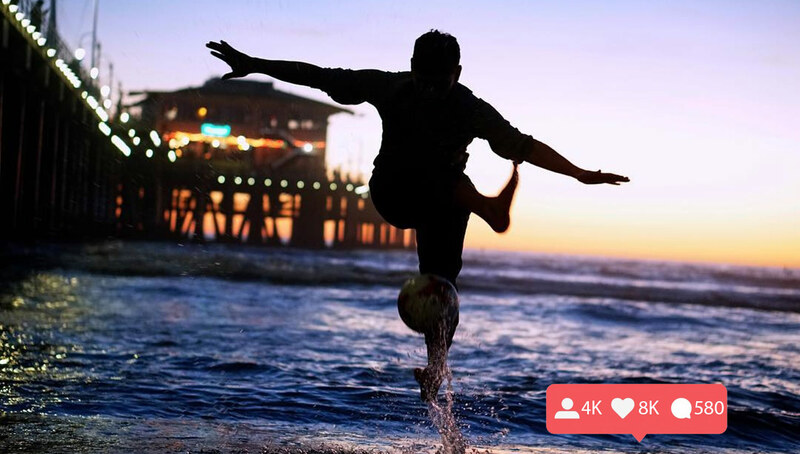 At the surface, the majesty of freestyle football without question goes hand-in-hand with social media. To be creative with a football is an opportunity to produce visually dynamic content that can impress, inspire and even amuse as well at times (thank you to everyone that has shared your amazing bloopers). All of this again I stress is achieved with a football — simple. It’s no wonder that freestyle content has exploded in popularity. Among the vast internet it is very shareable and enjoyable to freestylers and non-freestylers alike. But it’s from this chain reaction that we may start to raise an eyebrow (or both). We have now reached a stage of mega over-saturation. There’s so much freestyle content out there now that it has at times bred a competitive element driven by the external rewards of social media. The number of followers has become more important than the freestyle ability, and marketability towers over talent. I’m not saying this is 100 percent always the case, just a shift in perception that freestylers are now willing to consider. This shift all stems from a drive of wanting to stand out from others. By the very definition of the word “freestyle” this should mean you are free to express yourself however you desire with a football and do whatever tricks you want. However, nowadays it seems that if you do not truly excel at a specific niche of a particular area of tricks or singular trick that you can be “best known for” (e.g. the best person at wrap variations, a god of top headstall, etc. 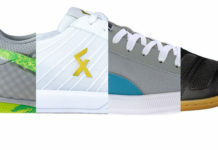 ), then you are at a greater risk of just fading in with all the other generic freestyle content out there. Your chances of getting shared or noticed are slimmer. This is also really exacerbated by social media’s ever-changing, greedy algorithms. You now have to scream so much louder than the noise just to be heard even by your own followers. It’s a terrible system that has some really talented freestylers suffering from a lack of recognition because of it. They are out there though, and I hope they are unearthed and get the credit they deserve. However, as aforementioned, the popularity of freestyle, and more specifically the number of freestylers, is on the rise, and social media has probably played the biggest role. While the increasing number of “freestylers” is great, I still can’t write that sentence without the air quotation marks around the word. 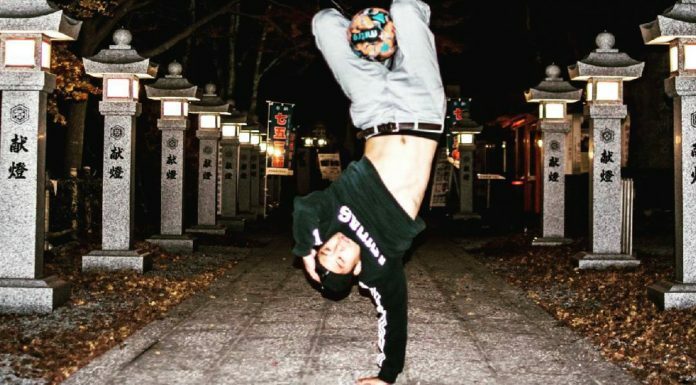 I say this because in addition to the previously discussed over-saturation, whatever is regarded as the most viewed and shareable content can and is easily skewing the outside perception of what freestyle football actually is. I’ve done well to write up to this point without mentioning The F2, but guys like that and their content can give the misconception that bin shots, trick shots, cross bar hits and fancy flicks are all underneath the freestyle umbrella. Not helped by the fact they market themselves as “The F2 Freestylers”, the fact their content is so viral in popularity has contributed to an enormous following where they now have a massive influence. If they say a trick is known as the NEYMAR MEGA TWISTER HURRICANE 3000 then unfortunately, people will accept that as gospel. Gee, thanks social media. People are very quick to hang on the every word of someone who has a ton of followers. But maybe this shift in attitude isn’t down to social media alone or at all. Maybe it’s a generational thing. To help explore this, who better to speak to than a seasoned veteran in Daniel Roseboom. With a bag of experience in freestyle, having seen its gradual development and now working closely with the organizational side of the sport, Roseboom now feels that there has been shift in attitude from the freestyle community. Daniel Roseboom of the Netherlands is one of the first few real freestylers. Many will know him as the man behind the largest freestyle community page on Instagram and Facebook, I AM A FREESTYLER. 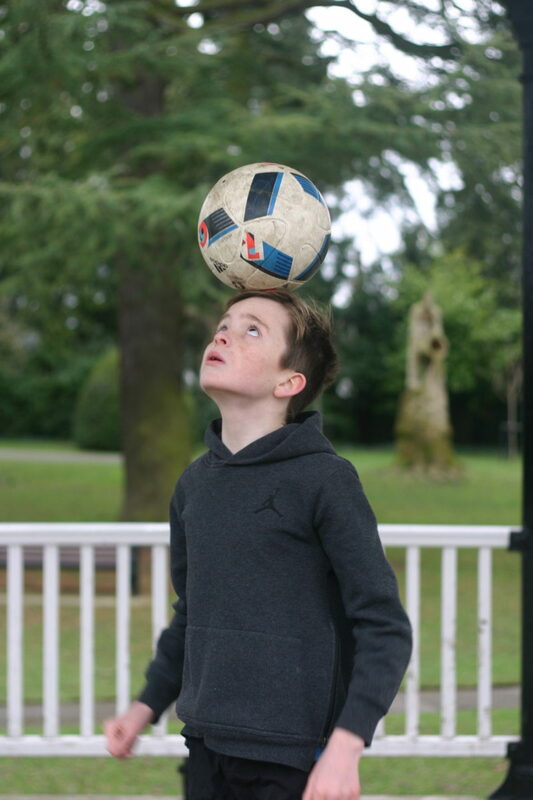 At first, YouTube seemed to be the natural place to share and discover freestyle football videos, most of which were long videos with lots of clips over a period of time that people took a while to edit and adjust until they were happy with. It was also of course a means of discovering the people behind the tricks as well. But the first real birthplace and sense of the digital freestyle community can be argued to be the Beyond Football Forum. Roseboom explains how this was a place where freestyle could be openly discussed in detail, not like today where everything is generic praise (“Sick video!”). From the few hundred freestylers on there, videos would be analyzed in extreme levels of detail, and amongst the constructive criticism there was the fair share of online arguments as well. At this point freestyle certainly maintained an underground feel to it before everything exploded maybe around the 2013-14 mark after the Beyond Football Forum also ceased to exist. Fast forward to now, where the new generation has grown up with a heavy exposure to social media, and the way it is shaping their freestyle is an interesting point in contrast to that of Roseboom or anyone from the pre-social media era. To illustrate this, at the other end of the scale we have 11-year-old Will Colley from Worcestershire, England. Colley knows not a world without social media, and he’s been freestyling for 18 months. 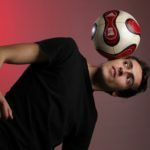 While he may not have Beyond Football Forum’s in-depth analysis like many of today’s freestylers did, he is a big advocate for the use of Instagram in particular and claims it has helped him learn a lot. Will Colley is only 11 years old but is loving freestyle unconditionally and training frequently. This I feel can be a bit of a double-edged sword. I have experienced being motivated and inspired by seeing clips of others, but at times they have have also made me feel inadequate in my own abilities, especially when going through a bad patch or injury. I feel like Instagram makes it difficult to escape the culture of comparing yourself to others. However, it is not my job to sit here and paint social media in the most sinister light possible. Platforms like Instagram and YouTube have undoubtedly enabled people to pick up lots of ideas for tricks, which is a foundation of this sport expanding and growing and not being limited. I always feel like it’s great to share these ideas because they are made to be built upon by someone else. Plus it’s just a nice reminder that there is an infinite amount of possibilities with a football. Whether this will continue to be the case though is another matter, as some may feel like they are just adding to the over-saturation if it isn’t really unique and different, and many others also do not want to give their tricks and ideas away, instead saving them for competitions as they become more serious. Overall, without social media, from a competition side especially, I believe freestyle would have a very low participation rate. The way the events are promoted and presented all relies on a fast-acting world of tweets and posts and sharing of content. Long gone are the days of having to constantly check a website to see if they have released a certain piece of information. When we think about freestyle’s humble origins, I don’t think where it is today is something anyone would have easily predicted. We’ve made some serious strides, but now I feel like the addictive qualities of social media may outweigh the addictive qualities of making good progress at freestyle or landing a new trick. Would you want to land a 4-rev if you were alone out in the middle of a forest with no camera and no way of sharing it with others? To conclude, social media has bred a new life into freestyle. Whether the sport would have died off or simply stayed underground without it is another matter. But right now some of the core values of freestyle are being overshadowed in order to play the social media game well. This is exemplified by the number of times a freestyler goes out with the intention of getting a clip for Instagram in favor of the raw joy of just having an enjoyable freestyle session. The “life” and “purity” of freestyle is slowly dying at the hands of the digital world despite our gratitude for what these apps have done for the sport’s popularity. This is an excellent post and very well thought out. I would agree and add that ive seen the same happen across almost every genre and industry. The inevitable crossing of passion and capitalism. Suffice to say that those that master the mix, compromise on one or the other.